We made a reservation for a Saturday evening, at 7PM. Good thing we made a reservation, because the restaurant soon filled, and the owner had to refuse several patrons. It’s not a big restaurant (I’m guessing about 20 to 25 seats) and tables are placed pretty close to each other. The menu on their website mentions several vegetarian dishes separately, of which most seem to be vegan. We asked whether the vegetarian dishes we ordered did not contain any dairy or egg, and the waitress confirmed – although seemingly a bit confused by our question at first – that they didn’t. Nonetheless we did get a bowl of prawn crackers as a free appetizer, not really reassuring. Let’s hope the staff in the kitchen was more knowledgeable (one is of course never 100% sure when dining out that everything served is vegan). Our overall impressions: Service rather clumsy (dropping things, unattentfull and for longer times not present in the restaurant room). Bit outdated interior and when the resto is full, it’s really crowded. Food was good. 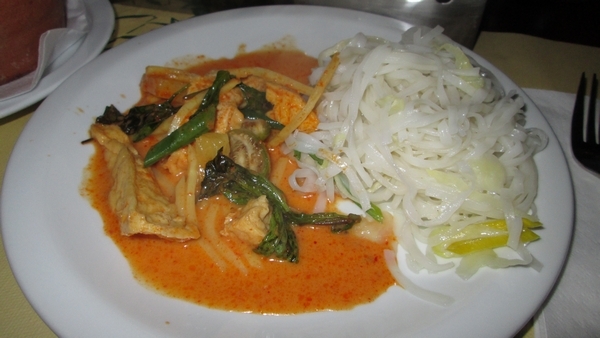 The dishes were not nearly as spicy as indicated on the menu, but we liked it nonetheless. 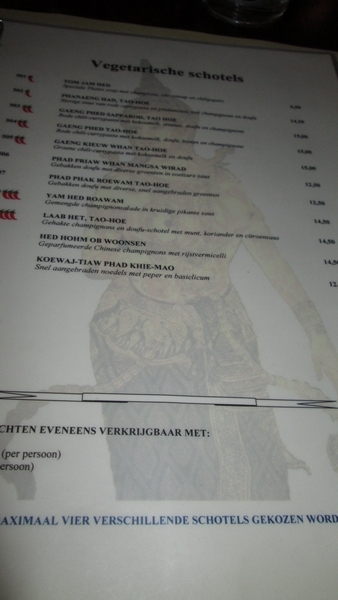 A bit more expensive compared to other Thai restaurants which we have visited over the years. 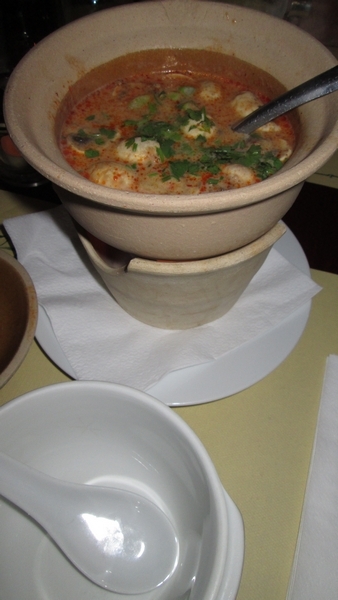 ** NOTE Update – Jan 2015: we have recently been told by someone who visited this restaurant that Lan Na Thai apparently uses fish sauce in most vegetarian dishes. So be warned! ** Update: reportedly closed Feb 2018.